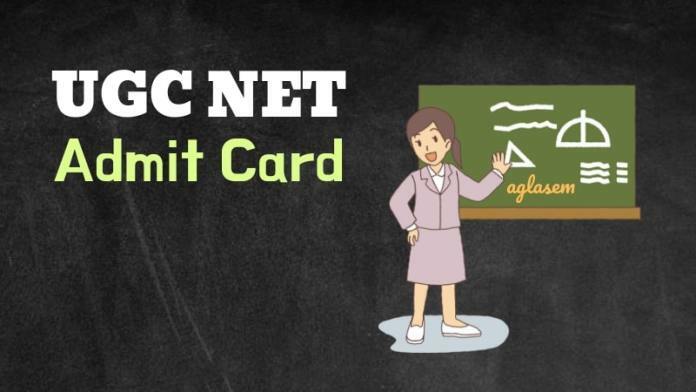 UGC NET Admit Card 2019 – The admit card of UGC NET can be downloaded at ntanet.nic.in from May 15, 2019. NTA is conducting University Grants Commission (UGC) National Eligibility Test (NET) Paper 1 and 2 on June 20, 21, 24, 25, 16, 27, and 28, 2019. 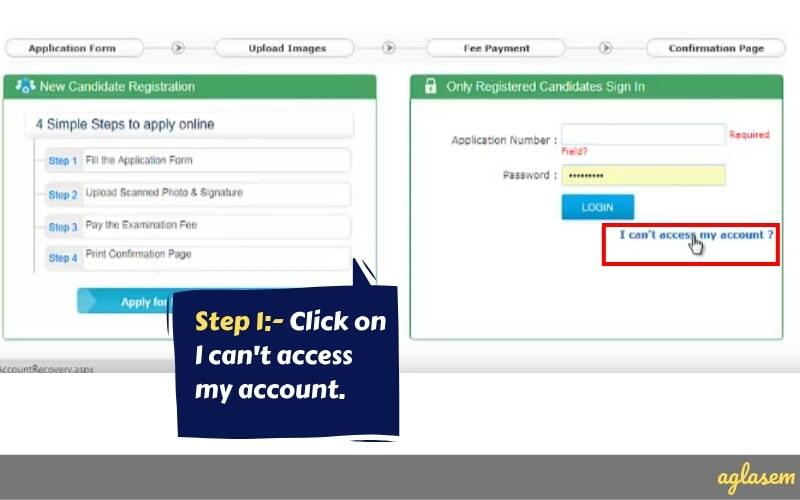 Candidates can download UGC NET Admit Card with application number and password or date of birth. It is necessary to take admit card, passport size photo, photo ID, and PwD certificate to exam centre. Keep it safely until declaration of result of UGC NET. Get here complete details of UGC NET Admit Card 2019, date, how to download, and related FAQs. Candidates are informed about their assigned exam date and center through the UGC NET 2019 Admit Card. Without it, no one can appear for exam. Note its release and other related dates from following table. You can login from any device. However, if you face any issues, please check that you are using the latest version of web browser and popups are enabled. Download here: Candidates can download UGC NET Admit Card 2019 for June exam as per schedule from ntanet.nic.in. Please print 2-3 copies. This is because you will have to submit one copy at the exam center. You will have to refer to roll number and other details later so it is better to take multiple print outs now. Forgot Application Number! Now How To Download UGC NET Admit Card 2019? Option 1:- The first way to find out your application number is to get your application form confirmation page. You may be having a saved copy of it. If yes, then that contains your application number – you can use that. Option 2:- Get application number from ntanet.nic.in forgot application number login. Go through steps below. Click on download admit card / login / application link. Click on I cannot access my account. 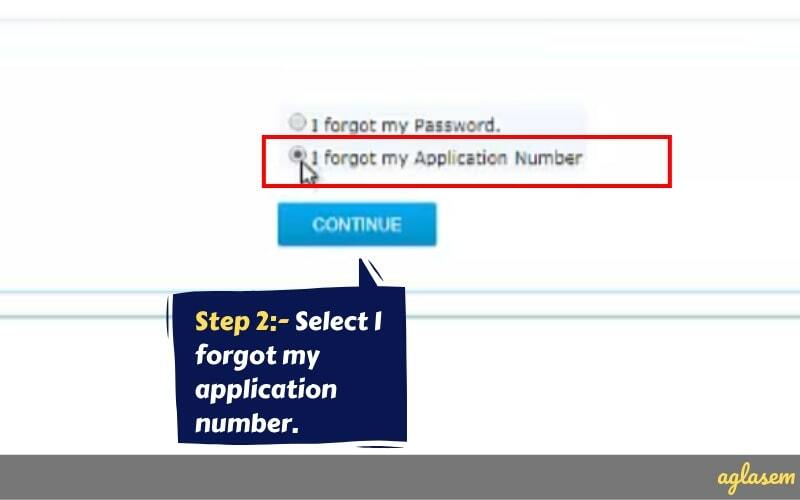 Then select the option for forgot application number. 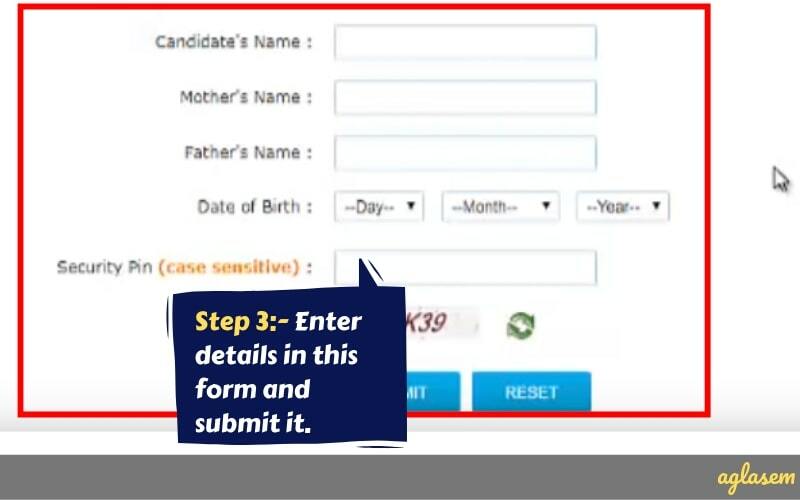 Now either you will get your application form number on registered contact details or it will display on screen. Essential For UGC NET Preparation – Mock Test! Around 9.5 lakh aspirants apply for NET exam. Only 55,000 clear cut off for Assistant Professor, and around 4,000 qualify for JRF and Assistant Professor. To be in the top 6% candidates, your preparation has to be really good. And we know, that with your hard work and dedication, you can do it! To help you get ahead in the competition, AglaSem has launched free online UGC NET mock test. This will give you a better understanding of the computer based test format, exam pattern, and syllabus. Try now – UGC NET Mock Tests (free) by AglaSem! How to download UGC NET Admit Card? The process of downloading admit card of UGC NET is completely online. Step by step instructions for the same are given below. Get familiar with the ntanet.nic.in website as all your activities related to UGC NET, even getting UGC NET Cut Off, are from here. Step 1 – Visit the official website ntanet.nic.in for UGC NET Admit Card. If you have landed on the website at such a time when hall ticket download is active, then you will find a download link for it on the main page. Click it. Step 2 – Select one mode to download admit card of UGC NET. Now you will get two options to login. One is through application number and date of birth. Other is through application number and password. Select any one as per your choice. Click it. Note: By opting the option download admit card with application number and date of birth, you can download the admit card without password! If you have opted for application number and date of birth, then enter them. Or if you have opted for application number and password then enter those. Then login. Now you will see basic details of your registration and link to download admit card. Click it. PDF file of admit card gets downloaded in your device. Once you download the admit card, you will see that there are several things in it. Following are the contents of hall ticket. Candidates should keep the roll number safely as it is required later to view answer key of UGC NET and check results. It is also important to check that subject mentioned in the hall ticket is same as one opted in form. Note the exam center details and make necessary travel arrangements. Candidate needs to bear the expenses on his own for travel and accommodation. Read following important guidelines for the exam. Authorities check whether candidates fulfill eligibility conditions or not later on. Issuance of call letter does not mean candidature is accepted. It is recommended to visit the exam center one day prior to exam. This way it becomes easier to navigate there on exam day. Candidates must present admit card, photograph, Photo ID, PwD certificate (if applicable) when asked for. Candidates must not have any barred items in their possession. In exam hall, seats are marked with roll number of candidates. One should sit only on seat with his/her roll number. Upon entering examination hall, take a seat at once. Login and read instructions before exam begins. Invigilators shall not allow test takers to leave examination hall before end of exam. After completion of exam, candidates need to submit admit card, rough sheets, pen, pencil to invigilator. Candidates need to enter necessary details in attendance sheet, put signature and paste photograph in it. It is responsibility of test taker to affix correct thumb impression clearly. Do not resort to any unfair means. Color printout of admit card. One passport size photograph (same as uploaded in application form of UGC NET). Photo ID (Aadhaar Card (With photograph) / Aadhaar Enrolment No / Driving License / PAN card / Passport / Ration Card / Voter ID). If your name has changed due to any reason, then please show relevant document (Marriage Certificate, Divorce, Decree, Legal Name Change Document). Your name as in the photo identification that you take to exam center, must match with your name in UGC NET 2019 Admit Card. Please note that packed food like chocolate, candy, sandwich is not allowed even for diabetic candidates. In the event that any candidate has anything with him/her that is not allowed, then it will be a case of unfair means. Candidates cannot have Tea, coffee, cold drinks, snacks or eatables things are not allowed to be taken inside the examination room/hall during examination hours. You should report to exam center at least 2 hours before your exam begins. No entry shall be allowed at center after 8:30 AM in shift 1, and after 1:30 PM in shift 2. There is no slot booking process for UGC NET. National Testing Agency allots exam date and shift on its own only to candidates. The assigned exam date, shift, and center is directly informed through admit card. Candidates cannot submit requests to change exam date, shift, center. 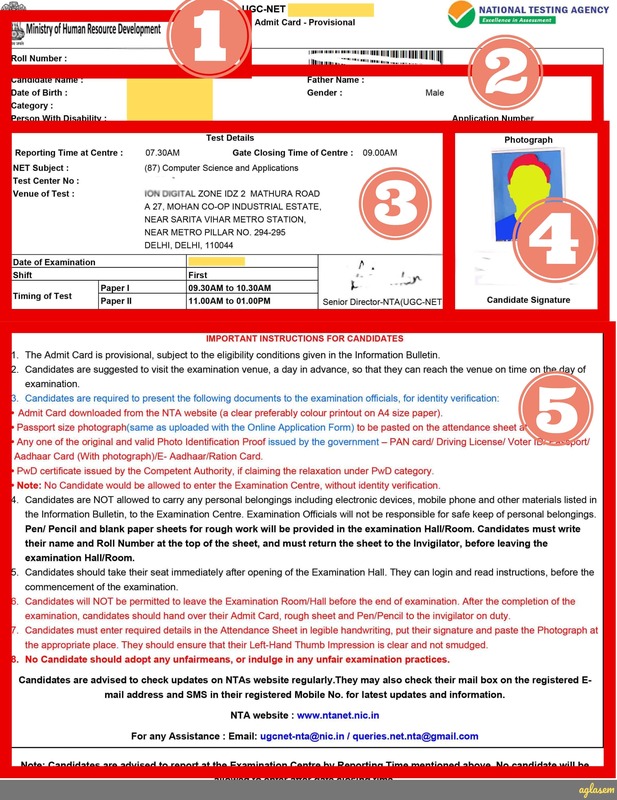 NTA has laid down some basic instructions with regards to use and care of the admit card of UGC NET 2019. They are as follows. Candidate should show the UGC NET 2019 admit card on demand. Candidate should preserve the hall ticket for future reference. NTA will not send Admit Card of UGC NET June 2019 by post to anyone. Candidate should read all instructions in admit card of UGC NET 2019. Candidate should not damage or write or mark anything on the admit card. NTA will not issue duplicate admit card at exam centre. NTA does not issue call letter to those candidates whose applications are incomplete or do not fulfill eligibility criteria. Issuance of hall ticket does not mean NTA has accepted eligibility which shall be checked in later stages. During the exam, candidate should ensure that the question paper that appears on screen is of that subject only which he/she has opted and is same in the admit card. If subject of question paper and that in UGC NET June 2019 admit card are different, then bring it to the notice of invigilator. If for any reason you are unable to download admit card of UGC NET 2019, then you should contact helpline as per above schedule between 10 AM to 5 PM. All details in admit card are as per data filled by you in application form, or rectified during application form correction in UGC NET. If there is any error in details in admit card, or photograph and signature in admit card and confirmation page, please contact helpline as per above schedule between 10 AM to 5 PM. Although in such cases, you will appear for exam with already downloaded admit card. However NTA will take steps to make corrections. NTA UGC NET is a computer based test. Candidates need to qualify it to determine eligibility for Assistant Professor and/or Junior Research Fellowship. Whereas CSIR NET is for sciences, NTA NET is for Humanities and Social Sciences. Marking scheme: +2 for correct answer. No negative marking. Syllabus: As per official syllabus of UGC NET 2019 prescribed by NTA/UGC. Cut off will be determined depending upon total number of candidates, available seats for each category. FAQ 1. Can I change UGC NET 2019 Exam Date or center? Answer. Unfortunately, you cannot change your exam date or center under any circumstances. Therefore, make arrangements for travel and stay as per exam date and centre assigned. FAQ 2. Should I take color printout or black and white printout of UGC NET 2019 Admit Card? Answer. There is no hard and fast rule. However, it is recommended to take colour printout of UGC NET Hall Ticket. This is because a color printout is easier to read, and photograph is clearer. FAQ 3 – Is Aadhaar Card compulsory for the exam? Answer. Aadhaar card is not mandatory to appear in the National Eligibility Test for determining the eligibility of Indian nationals for the Eligibility for Assistant Professor only or Junior Research Fellowship & Eligibility for Assistant Professor Both in Indian Universities and Colleges. Best of luck for your UGC NET 2019 exam! If you have any queries about UGC NET Admit Card 2019, please ask in comments below.